The 2015 International CES kicks off this week, bringing with it an influx of new technology trends and buzzwords. Keep up with the biggest announcements and best new technologies on display in Las Vegas this week. This list will be updated throughout the show, so be sure to check back. 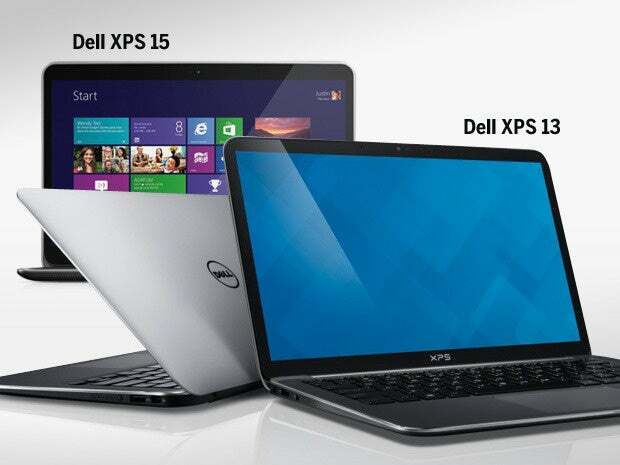 At CES, Dell showed two new laptops: the 13-inch XPS13 and 15-inch XPS 15. The former, which Dell calls “the smallest 13-inch laptop in the world,” weighs 2.6 pounds but still features 5th-generation Intel Core processors, a battery that can last up to 15-hours between charges, and a UltraSharp Quad HD+ infinity display with 5.7 million pixels. The XPS15, meanwhile, is aiming to compete with top-of-the-line laptops and features an UltraSharp 4K Ultra HD touch display, which Dell is calling “the highest-resolution panel available on a 15-inch laptop today.” The XPS13 is available today starting at $799.99, while availability for the XPS15, which is priced at $2,349, has not yet been announced. After originally introducing the tablet at its developer forum in September, Dell announced that the Venue 8 7000 tablet is now available at its website and at Best Buy stores in the U.S. Priced at $399.99, the Venue 8 7000 features an 8.4-inch, 2560x1600 OLED infinity edge-to-edge display, and, at 6 millimeters, Dell is boasting the thinnest tablet on the market. With plenty of potential use cases for everyone from field workers to campers to those looking to cut their home energy costs, the Flir One attachable camera plugs into iOS and Android devices and shows thermal images within the area being filmed. This could help identify field equipment or home appliances that may be overheating or unseen animals or intruders who might be lurking nearby. Using an open approach to hardware, in which every update to the design and production process of its product was announced to the public, Aleph Objects aimed to create a professional-grade 3D printer for consumers. Although less expensive consumer options can be found on the market – the LulzBot will be released for $1,350 later this month – Aleph is positioning its 3D printer as a more comprehensive option that can print with a wider range of materials. 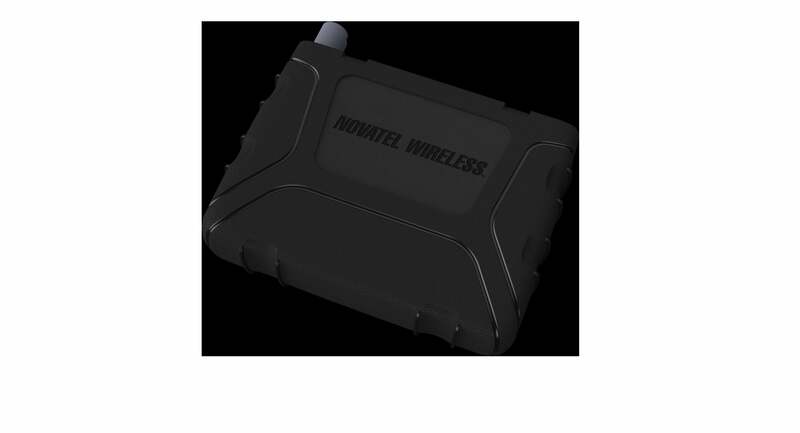 Novatel Wireless is positioning its new MT 1200 telematics solution as a tracking tool for insurance companies and organizations managing large fleets of vehicles. 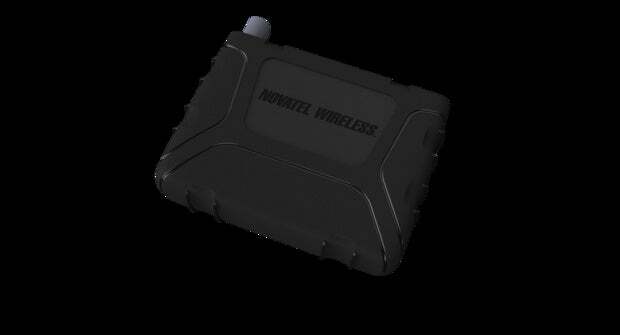 A small, plug-in device for the connected car, the MT 1200 can host software from third-party telematics providers and also allows users to develop custom event reporting tools through its Smart Agent programmable software engine. HP is introducing two new Ultrabook laptops, the ZBook 14 and ZBook 15u. Both feature Future 5th-general Intel Core processors and AMD FirePRo graphics chips, 16 GB of memory, and 1.25 TB of storage. The ZBook 15u boasts a 15.6-inch (diagonally) display, while the ZBook 14's 14-inch screen offers a 10-point multi-touch option. Aiming to make PC accessories more portable, Lenovo designed a Bluetooth speaker, a 10,000-mAh power bank for charging devices, a wireless access point, and a 1TB storage drive to be stacked on top of one another and interlock. The Stack essentially provides everything a mobile worker might need. 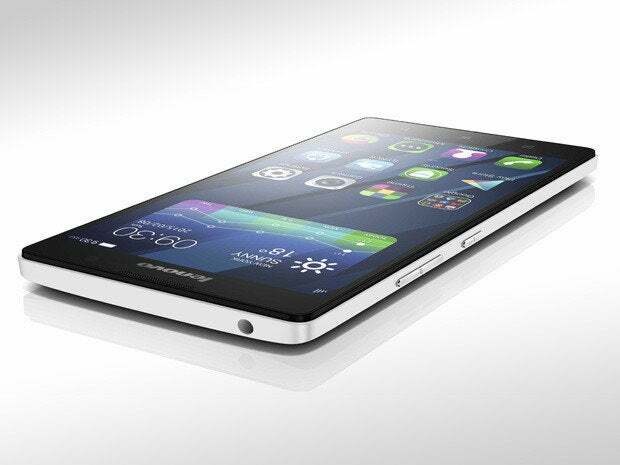 With a 5.5-inch display, the Lenovo P90 steps into the arena with the iPhone 6 Plus in terms of screen size. 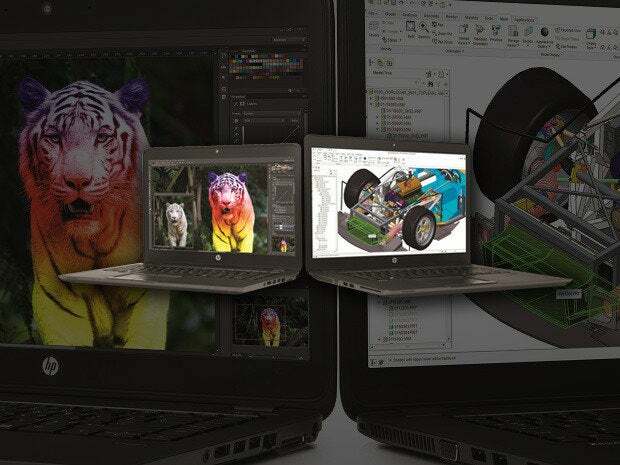 To compete in this market, Lenovo designed the P90 for high-speed connectivity: a 64-bit Intel Atom Z3560 processor, an Intel 5-mode XMM 7262 modem, and support for LTE-Advanced wireless connectivity. The P90 also boasts a 4000mAh battery and a 13-megapixel rear camera, both of which surpass the specs on the iPhone 6 Plus. The P90 will be available beginning in February. With an eye toward selfie-crazed smartphone users, Lenovo upgraded its VIBE X2 smartphone line with a larger screen (5.3 inches on the Pro, up from 5 inches on the original VIBE X2) and a much more capable front-facing camera (13 megapixels, up from 5 on the previous model). The VIBE X2 Pro also features a 64-bit Qualcomm Snapdragon processor, but this phone is really about selfies – Lenovo also designed a pocket-sized flash that plugs into the phone’s audio jack and allows users to take front-facing photos even in low-light conditions. Both the VIBE X2 Pro and the VIBE Xtension Selfie Flash will be available in April. At CES, D-Link unveiled three new routers, one of which is already available for purchase. The AC3200 ULTRA Performance is a tri-band Wi-Fi router with data rates up to 3.2Gbps, but the big news is that, unlike many other products at CES, it's on sale right now, for $309.99 at NewEgg.com. By the spring, D-Link plans to release two other routers – most notably the tri-band AC5300 Ultra Performance router that boasts speeds up to 5.3 Gbps – along with the AC1900 USB adapter that brings 802.11ac Wi-Fi to previously incompatible laptop and desktop PCs. TP-Link also announced two new routers, including the Archer C2600 that comes equipped with Qualcomm's VIVE 802.11ac technology – bringing speeds up to 2.6Gbps using the 2.4GHz band at 800Mbps and the 5GHz band at 1733Mbps – and Qualcomm's MU | EFX multi-user MIMO technology designed to help process data from multiple devices simultaneously. TP-Link also showed the tri-band Archer C3200, with two 5GHz bands with speeds up to 1300Mbps and a 2.4GHz band operating up to 600Mbps. Both are expected to hit the market in Q3. Linksys also announced a series of new Wi-Fi routers, including the dual-band EA8500 that boasts a Qualcomm Snapdragon 1.4GHz dual-core processor and MU-MIMO technology to support multiple devices simultaneously. Additionally, Linksys is also showing the WRT1200AC, a 2x2 wireless dual-band AC1200 router with wireless speeds up to 1.3 Gbps. Both are expected to be released this spring, with the EA8500 MU-MIMO router priced at $279.99 and the WRT1200AC at $179.99. Claiming 95% energy savings and a remarkable reduction in the space a desktop PC can take up, the Kubb is a serious computer for such a small form factor: i7 Intel core processors, up to 16GB memory at 1600 MHz, a 128GB SSD with optional dual storage ranging from 500GB to 1TB. The Kubb operates almost silently, and although it can be easily hidden, it is easy on the eyes, and for the time being it would at least make an interesting conversation piece. For CES, Seagate's premium LaCie line of storage drives added two polar opposites to its product line. The LaCie Rugged RAID is a water- and dust-proof 4TB hard drive designed to survive drops of five feet and 1 ton of pressure. The LaCie Mirror is cased entirely in glass, albeit the durable and scratch-resistant Corning Gorilla Glass. The Mirror is a 1TB hard drive that is intended to be a fashionable piece of home décor, rather than a PC accessory that is meant to be hidden. Dubbed the Seven to denote its 7mm depth, Seagate is calling its new external hard drive "the slimmest way to carry 500GB." It's made entirely of metal and appears to be a fitting add-on for extra storage for ultra-thin tablets and laptops that have hit the market in recent years. Seagate plans to release the Seven in mid-to-late January for $99.99, with pre-orders already available at Seagate.com and Amazon.com. LG is aiming to take the wireless speaker to the next level with its Music Flow Wi-Fi series of speakers and audio accessories. Its speakers are compatible with Android and iOS and, unlike the more common Bluetooth-enabled wireless speakers, they connect via Wi-Fi and can continue playing audio uninterrupted when the smartphone to which it is linked receives a call. And using the free text messaging app Line, users can send messages directly to the speakers to control audio. An example – sending a text that says “play songs for a party” will launch a playlist of party music on the speakers. 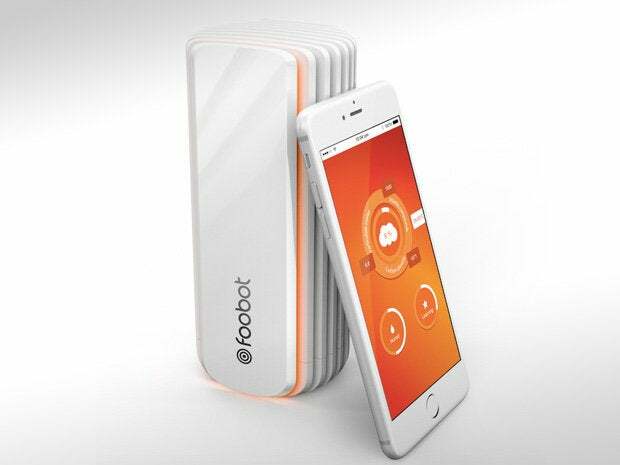 Reminiscent of the massively popular Nest smart thermostat, the Foobot consists of a small device with sensors that monitor the room's air for everything from allergens and chemicals to temperature and humidity. A mobile app that presents the information for the user. 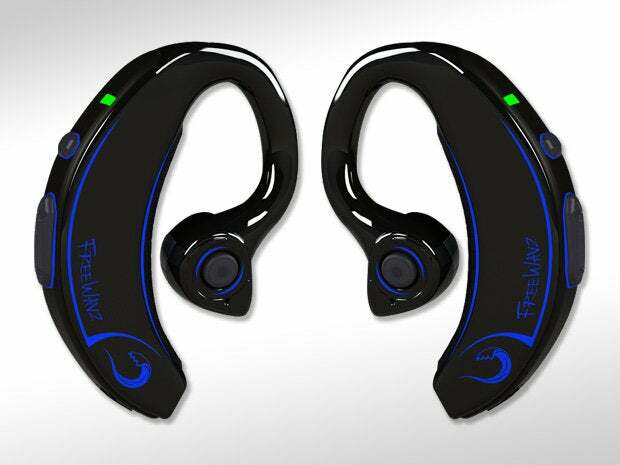 A lot of companies are advertising wireless headphones lately, but FreeWavz stands out for its integration with health sensors that measure heart rate, pulse, oxygen saturation, calories burned, and distance, among other things. That data is presented a smartphone app that connects to the ear buds through Bluetooth. The wearable market is going to get crowded in 2015, but Lenovo's VIBE Band VB10 boasts some impressive features that could attract some attention, particularly a battery that can last up to seven days even with the display and Bluetooth display turned on. Given that it can handle phone calls, text messages, and social networks like Facebook and Twitter, constant Bluetooth will be a must. The waterproof VIBE Band also features fitness tracking functions and an E Ink display to prevent sun glare. Lenovo will make the VIBE Band available in April. 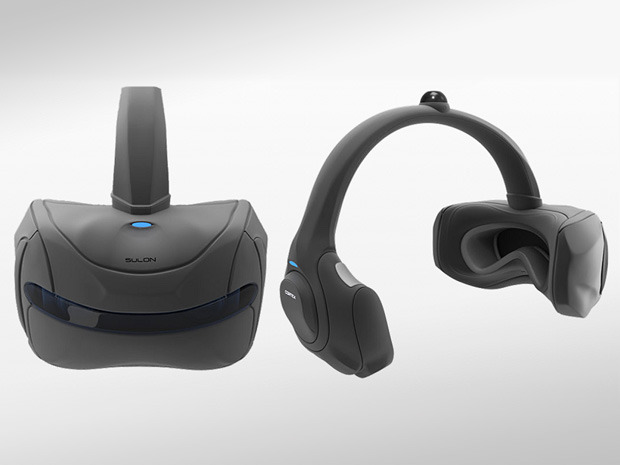 Calling its headset the “first-ever fully immersive spatial VR technology,” Sulon Technologies sets the Cortex apart from Oculus Rift and Samsung Gear virtual reality headsets by eliminating its connection to a separate device, such as a PC, smartphone, or video game console. Sulon is preparing to launch a developer kit, which will consist of a headset that features built-in batteries, in-ear audio, a charger, lens cleaner, a manual, and access to the Cortex SDK, which supports Unity3D with Unreal engine. The developer kit is expected to be available by Q2 2015 for $499. No consumer pricing is available yet. The MOD-t holds the all-time funding record on Indiegogo, and the people behind it are rewarding their supporters with a $400 3D printer. 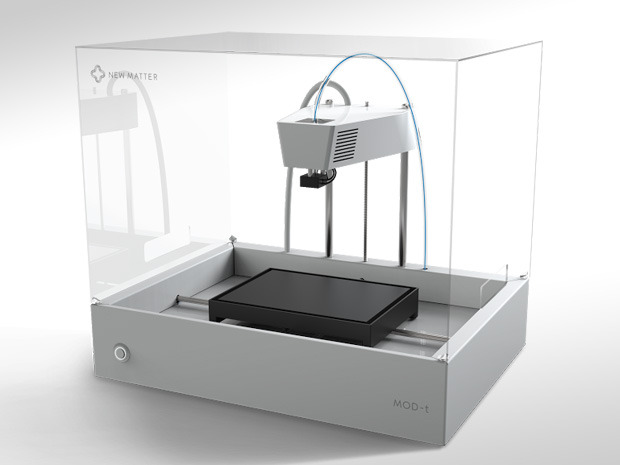 Compared to most 3D printers, that’s a very low price, and the MOD-t can connect to Wi-Fi for access to designs hosted on New Matter’s online marketplace. If 3D printing is indeed going to become a consumer technology, companies like New Matter are going to open the doors. With an eight-inch screen, the Lenovo YOGA Tablet 2 on its own is two things: easy to carry and difficult to navigate. To solve the navigation issue, Lenovo designed the YOGA Tablet 2 not only to work with a stylus, but to work with any metal object that might be nearby. That means users don’t need to worry about losing the stylus, but can still use a pen or a screwdriver or a fork if they want to select small icons or hyperlinks on its eight-inch screen. The YOGA Tablet 2 comes with Windows 8.1 and a one-year subscription to Microsoft Office 365, and will be available this month starting at $299. By shunning the cloud and storing all the camera's footage on an SD card, Netatmo's Welcome smart security camera system prevents its users' private footage from leaking to the web, a measure that other vendors in this space should have considered long ago. Welcome incorporates facial recognition technology and custom notification settings so users aren't inundated with alerts every time their family members use the front door, but are still notified when children return home from school or a stranger is on the property. Using a unique approach to biometrics, the Sonavation IDKey fingerprint reader uses ultrasound to send soundwaves against the surface of the skin and send back detailed information for a highly specific fingerprint. The company says this creates “virtually unspoofable authentication.” The technology is housed in a small, portable device equipped with Bluetooth and Wi-Fi functionality for quick access to two-factor authentication for access to sensitive data. STM Bags has developed a backpack designed specifically to protect laptops and tablets from damage. The bag has two separate pockets – one for a laptop and another for a tablet, for those who carry both – that the company calls “floating sleeves” that remain suspended when the bag is dropped, keeping the devices inside from feeling any of the impact. In an effort to protect dogs who overheat while left in cars on hot days – a mistake that can often be fatal – Tagg has added an ambient temperature sensor to its GPS Plus tracking device for dogs. The device can be attached to the dog’s collar and monitors the temperature of the room or space where it is located. When the temperature gets too high or too low, it automatically alerts the owner through a notification on a smartphone app, which also provides GPS location. Even owners who don’t think they’d make this kind of mistake could use a device like this to ensure that their dog walkers wouldn’t. 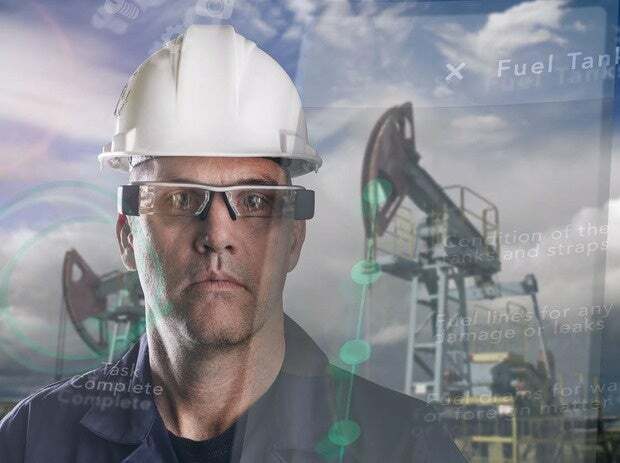 Augmented reality company NGRAIN has developed an app for Epson’s Moverio BT-200 smart glasses, a more rugged Google Glass alternative, designed specifically for industrial and manufacturing uses. The app projects information from mission-critical enterprise apps, from ERP to SCADA, over the wearer’s field of view, but uses a semi-transparent projection to avoid distracting the user or obscuring his or her view. Among the most unique of the fitness wearables at CES is Motionize's application for real-time fitness tracking for kayakers. 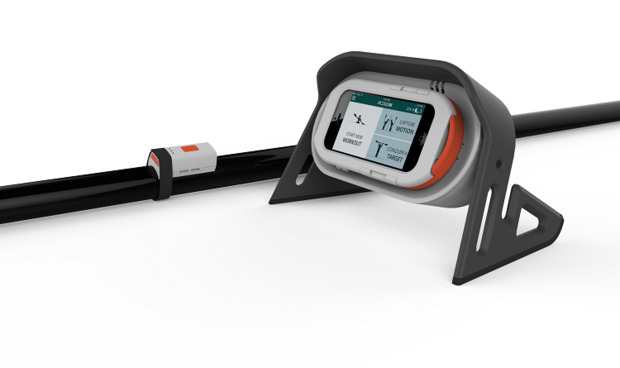 Dubbed Motionize Paddle, the system combines an activity tracker that attaches to the center of the paddle’s handle, a smartphone app, and a (waterproof, of course) case that mounts to the kayak to show real-time updates on the user’s performance. The activity tracker is small and seems easy enough to attach to the paddle – in a video, the user does it without tools. Dozens of similar products are available for runners and hikers. This is an interesting extension into another fitness market.